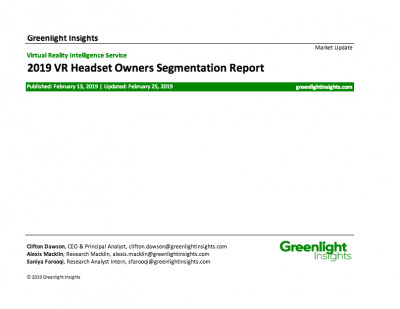 In light of lower-than-expected sales of in-home virtual reality systems, excitement for the out-of-home virtual reality market has grown precipitously. In the last 24 months, VR experiences have become commonplace in the location-based entertainment (LBE) industry from theme parks, movie theaters to family entertainment centers, such as Dave & Busters. Much like the 2014-2016 rapid creation of specialty VR/AR technology companies and studios, VR LBE venues and operators have emerged all over the globe, spurring a wave of new small, locally-owned VR arcades. 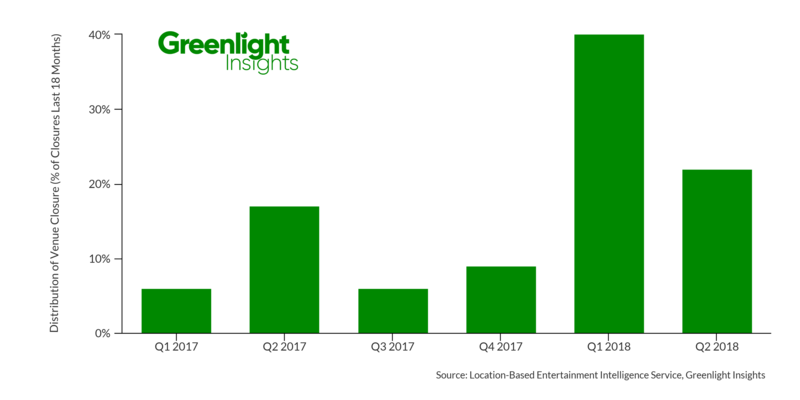 Based on Greenlight Insights' Location-Based VR Tracker - a panel of over 400 entertainment venues worldwide with VR system deployments, 6% of locations opened in 2017, closed in the first six months of 2018. These closures are a result of a surge in VR arcade openings between the fourth quarter of 2017 and second quarter of 2018. The closure businesses are generally young businesses (48% of closures having operated for less than a year) and highly VR-focused (82% of locations dedicated solely to provide virtual reality-based entertainment). 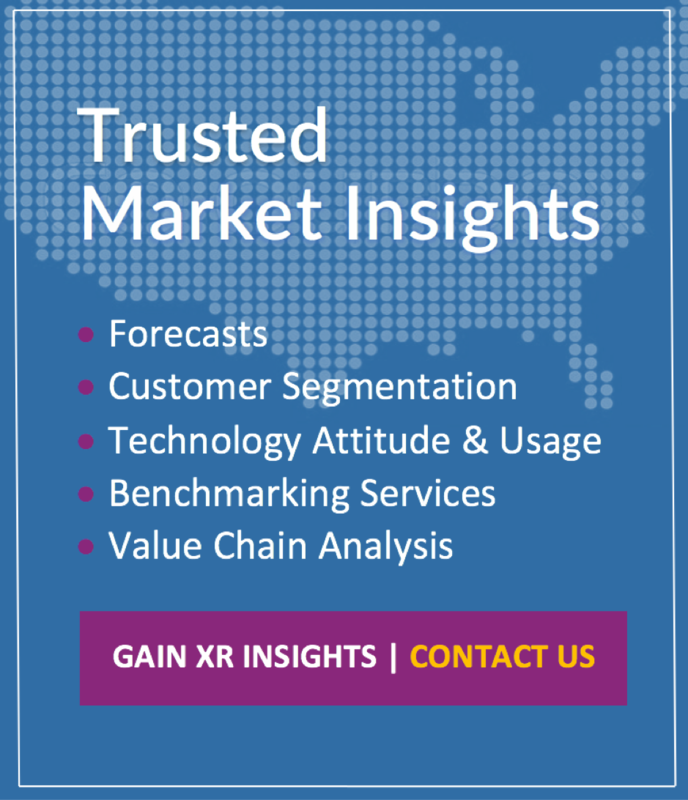 Consumers are curious about VR, but there is remains a threshold of familiarity to cross before consumers understand the appeal of virtual reality and value it as a substitute for competing forms of out-of-home entertainment. This is why established location-based entertainment businesses like FECs, cinemas, theme parks, and museums have less risk compared to new businesses dedicated to VR. Dedicated VR arcades and experience centers have the burden of justifying the (often high) price of a ticket. Nevertheless, this has not stopped early leaders from emerging in the LBE VR sector. According to our latest data & analysis, several VR-focused franchises which have seen international success, including The Void and Zero Latency. 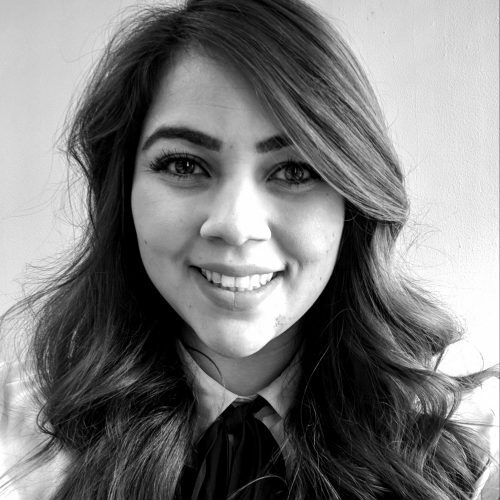 In each case, the strategy for success is different: For some, opening locations in high-foot traffic locations and keeping overhead low have proven to be the keys to success, while for others, utilizing well-known IPs is the key. 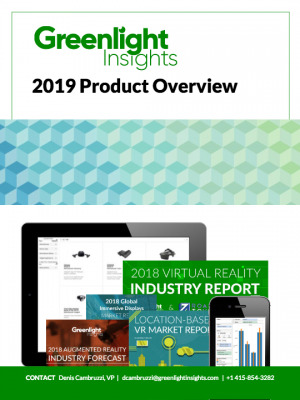 Read more about the out-of-home VR market including a 5-year global & regional market forecast, consumer sentiment, and in-depth operational statistics in the soon to be released Location-Based Virtual Reality: 2018 Annual Market Report.